Looks wise, it’s a masterpiece. A savvy blend of old-world elegance and contemporary charm where period elements like the carved staircase by Louis XVI’s architect and 17th century paintings, accent contemporary interiors by British firm GA Design. As for the location, it’s prime real estate. The Rijksmuseum, the Museum Van Loon, and the Negen Straatjes are all within walking distance, or bicycle if living like the locals is on the agenda. 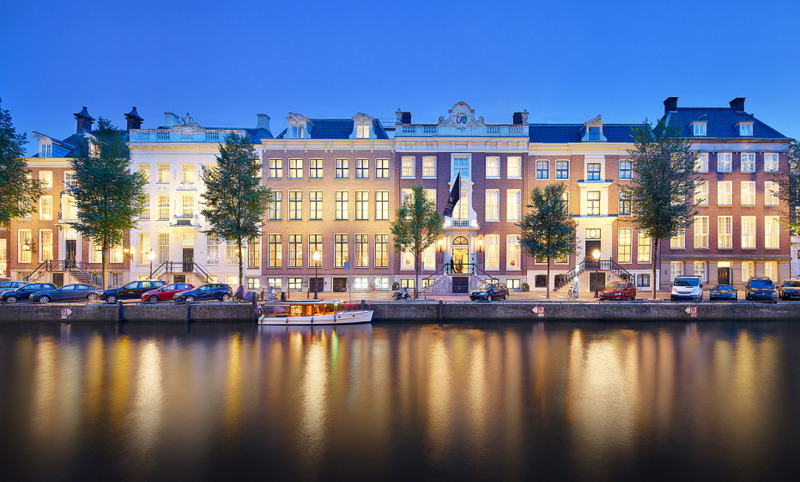 The looks, locations and rooms are ticked but where the Waldorf Astoria Amsterdam really wins you over, is at its Michelin Starred restaurant Spectrum, probably at the main course and with the Milk Cow Rib-eye at your table. Anything else to gush over? Its multi award winning Guerlain spa, especially the swimming pool. A collection of six 17th and 18th century canal palaces with unique history & exquisite architecture. Located on the by UNESCO protected 'Gentlemen's Canal' - the greatest of them all. Legendary & bespoke True Waldorf Service - a Personal Concierge is assigned to each guest upon arrival. very friendly staff, luxury at its best. One of the nicer hotels I have stayed at. Service was excellent and everyone was very helpful and professional. My room was very comfortable and housekeeping was superb. Probably one of the best hotels we have stayed at. The staff are excellent (and that makes or breaks a hotel from our point of view). Service standards high. It is hard to fault the hotel.